Travel inspires tremendous opportunity for growth and personal development. Challenging our boundaries, exploration of new destinations is an invitation to courageously learn and discover the unknown. What happens when the invitation to explore the unknown adventures of an amusement park lead to the depths of Monsterland. 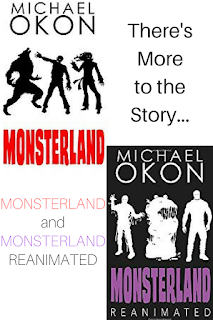 Travel with Wyatt and his friends to Monsterland, Michael Okon's thrilling novel charactered with vampires, Werewolves, and zombies, There's more to the story- Monsterland Reanimated (Book II) continues the tale of the adventurous journey of Wyatt's return to "the scariest place on Earth". Thank you to Michael Okon and his promotional team for the courtesy of providing a promotional media review copy for editorial content purposes. This post may contain affiliate links. "Welcome to Monsterland—the scariest place on Earth. With real werewolves, vampires and zombies as the main attractions, what could possibly go wrong?" "After Monsterland has imploded, the entire world is thrown into chaos. World leadership is gone, economies have collapsed, and communications are non-existent. Wyatt must go beyond the boundaries of his small town to reestablish contact with the outside world, and alert the government about a traitor-in-chief. When an army of relentless mummies, a life-sucking ooze called The Glob, and a hybrid reanimated Behemoth rise from the depths of Monsterland, who will survive?" 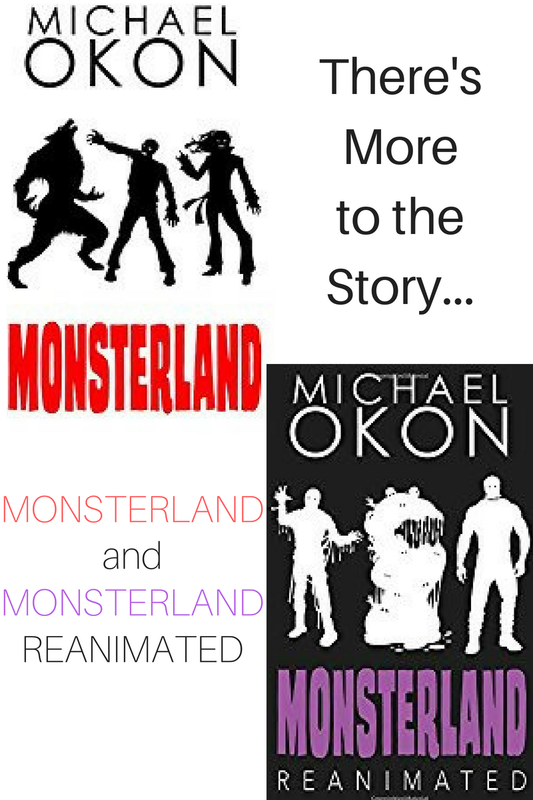 Read Monsterland and Monsterland Revisited, captivating book series from author Michael Okon.